Author : Doreen Virtue & Grant Virtue. The Angels of Abundance wish to help you manifest support for your earthly needs, life purpose and charitable giving so that you can enjoy the blessings that are your Divine birthright! ISBN 13: Books 78 Tarot Cards. 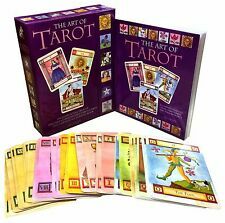 Interpretation is the key to the art of Tarot reading. 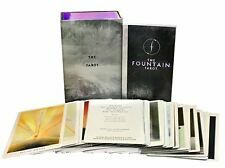 A Full Deck of Specially Commissioned Tarot Cards. Titles in This Set. We will always help you to have a 100% positive happy buying experience. 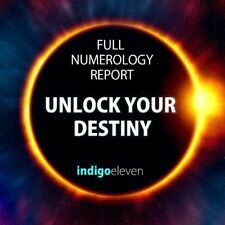 Personal Numerology Complete Report | 1 Year Forecast 2019 + FREE Bonus Year! You will get over 20 pages of personalised, unique insight all about you. • Personal Years & Months – Forecast of key events likelyto happen in the coming years and months. Inside your report. • Karmic Lesson s – The challenges you face and what you needto learn. Magical Unicorns Oracle Cards. Author : Doreen Virtue. Title : Magical Unicorns Oracle Cards. 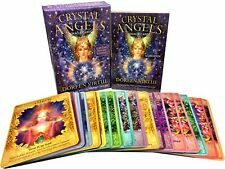 Let these cards by Doreen Virtue, the creator of the Healing with the Angels Oracle cards deck. The enclosed easy to follow guidebook allows you to instantly give accurate readings to yourself and others. 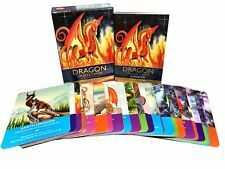 Select a card from each of 3 separate sets - the Zodiac Signs, the Planets and the Houses - and then use the guidelines in the book to interpret the answer - just like going to a professional astrologer! Titanias spell cards. 2 sets of 64 cards one in a purple velvety box,the other blue. 37 Earthology; humanity characterized by the earth, sun, and zodiac, with prognostications from the moon 1901. 3 Stri Jataka or Female Horoscopy - B Suryanarain Rao 1931 LR. Astrology books KP jyotish system. XIII Tarot by Nekro - Beautifully illustrated Tarot Cards. 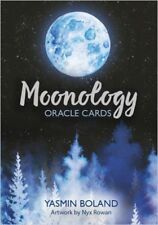 A 44 Card Deck of Specially Commissioned Oracle Cards. Dragons are beautiful, wise, open-hearted etheric beings of the angelic realms who are sent here by Source to help and assist us. Their guidance can help us to clear lower energies, flow around challenging situations and inspire us in our life visions. This book is probably a FIRST EDITION but i cannot find any dates on it anywhere. Its very old and has been on a shelf for many years. EU - £6.50. UK - £3.50. Astrology has been open to criticism through a large part of its long history. In this groundbreaking book Bernadette Brady gives new insights in the intensity of these criticisms by placing astrology into its initial setting, its original world of ancient creation myths linked to the great creative void. By Titania Hardie (NEW). Titania's Fortune Cards. What you learn from them is sure to fascinate you. Your fate lies in the cards. 36 Fortune Cards and How to interpret Them. At MBS-Books you will find what you are looking for that will help you make those POSITIVE changes! John Filbey Natal Charting. Aquarian Astrology Handbook. John Filbey. Natal Charting. How to master the techniques of birth chart construction. Astrology Book. 191 pages. Very Good readable condition. All pages intact & free from scribble. Needs a new home. Any questions please ask. Back cover in pic 2. The Angels of Abundance wish to help you manifest support for your earthly needs, life purpose and charitable giving so that you can enjoy the blessings that are your Divine birthright! Everyone has the ability to receive the ever-flowing bounty and support Heaven continuously provides. Back cover details in pic 2. This listing is for a Seven Card, One Question Psychic Reading and is ideal for questions such as Will I change my career? Will I meet a new partner? or Will I move house? Card one relates to how you feel about the situation, card two is the positive aspect relating to your question, card three is the negative side, card four is the short term future, card five is the long term future, card six relates to what you need to do and card seven is the result card which links in. with the other six cards. I have been reading a variety of cards for over 35 years and really enjoy helping people. Please provide your date of birth for accuracy and email address. Very good condition 2002 softback. Whether you need hope, guidance, love, insight, strength or healing, this unique tarot naturally guides you to intuitively connect with heaven-sent wisdom to find the answers you need. By Susie Green (NEW & Sealed). Ancient cultures have always looked to animals as a source of strength, protection and knowledge. Seek Inspiration From Your Animal Guides. 2019 Calendars 2019 Diaries 50% OFF SALE! Animal Tarot Cards. 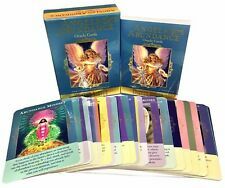 A 78 Card Deck of Specially Commissioned Oracle Cards. A 189-Page Guide Book. We will always help you to have a 100% positive happy buying experience. The Cards Can't Lie by Alice Hutton Hardback-book in original dust jacket. 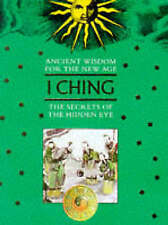 Published by Jupiter Books. First Edition 1979 127 pages This book has been read and has some rippling, light tears and light creasing to the dust cover. There is a small water stain on the front and end free end papers and a rubbed out pencilled gift inscription otherwise internally clean. Please see photos. Very good condition large format softback. Whether you need hope, guidance, love, insight, strength or healing, this unique tarot naturally guides you to intuitively connect with heaven-sent wisdom to find the answers you need. From predicting the future to seeing the past and present with clarity, these cards will show you where your heart and spirit need to go. By Doreen Virtue (NEW & Sealed). Each card features a loving portrait of Jesus by the artist Greg Olsen, along with an uplifting biblical verse from Jesus. 2019 Calendars 2019 Diaries 50% OFF SALE! REACH YOUR POTENTIAL: CANCER by TERESA MOOREY. Illustrated with black and white diagram. For Contents List see photos. Reach Your Potential: Cancer by Teresa Moorey: Cancer: 22nd June to 23rd July: Caring, Clingy or Crabby - what kind of Cancer are you?. REACH YOUR POTENTIAL: ARIES by TERESA MOOREY. Illustrated with black and white diagram. For Contents List see photos. Reach Your Potential: Aries by Teresa Moorey: Aries: 21st March to 20th April: Ram, Rambo or Hero - what kind of Aries are you?. PREDICTION 14pcs Magazine Lot Random issues ranging from April 2005 to December 2008. In good condition. PALMISTRY FOR PLEASURE & PROFIT,HAND READING CAREFULLY & INTERESTINGLY EXPLAINED BY V.A.K. AYER. THIS WELL ILLUSTRATED AND VERY INFORMATIVE BOOK DEALS WITH THIS ANCIENT SUBJECT FROM BOTH THE INDIAN AND WESTERN VIEW-POINTS AND TEACHES THE ART OF PALMISTRY. The story of the history of Western astrology begins with the philosophers of Greece in the 5th century BC. Back cover in pic 2. Bernadette Brady teaches you how to make both a northern and southern hemisphere astrolabe. Back cover in pic 2. Copious case histories support her technique. Back cover in pic 2. What was nearly lost is given new power and the potential for understanding. A wealth of information is presented in a clear and concise way with many accurate charts. Title:CZYTANIE Z DŁONI. Author: Lorraine Brais. hardback: very good / slightly signs of storage. Language:Polish / książka w j. polskim. Paperback edition of "Talisman Which Work And Are Easy To Make" by Kate Richardson and William Van, rare astrology/spirituality book published by Finbarr, in good condition. Lee presents both techniques and the logic behind them to radically improve all Astrology, regardless of whether the practitioner chooses to adopt a Classical or Neo-Classical approach and analyzes the charts of several famous people and events to demonstrate the techniques and their effectiveness. By John Addey. ' ASTROLOGY REBORN '. Astrology Book • PAPERBACK •. Published: 1978 (3rd printing) by The Faculty Of Astrological Studies (England, UK).